Healthy aloe plants sprout aloe babies (properly known as pups) from their root systems. While aloe plants in general thrive when root bound, potting up aloe pups reduces the competition for water and nutrients in the pot, giving each pup a better chance at success. The pups also make good gifts for others if you don’t have space to keep them. Aloe pups require the same growing conditions you’d give an adult plant: bright, indirect sunlight and minimal water. As long as you don’t expose your aloe pups to freezing temperatures or overwater them, they should thrive in their new pots. Fill a small pot (3 inches in diameter or larger) to within 1/2 inch of its rim with a cactus potting mix. Work the mature aloe plant, with attached babies, carefully out of its pot and lay it on a sheet of newspaper. Carefully separate the babies from the parent plant, keeping as much root attached to the babies as possible. If you feel comfortable doing so, you can also carefully dig down around the babies with your fingers (no unpotting the parent plant for this technique) and slide them out of the soil. Try to keep the largest chunk of root possible attached to the baby plant. Scoop a depression in the center of the new pot’s soil with your fingers. Place the baby aloe plant in this depression. While having a root system already attached will help the aloe pup grow, even those without any attached roots have a good chance of re-rooting if given the chance. Press the soil down gently around the aloe plant. Avoid the temptation to pile soil around the plant to stabilize it; instead, just pat the soil down over the roots, then place several small rocks around the plant’s base, if necessary, to keep it upright until roots form. 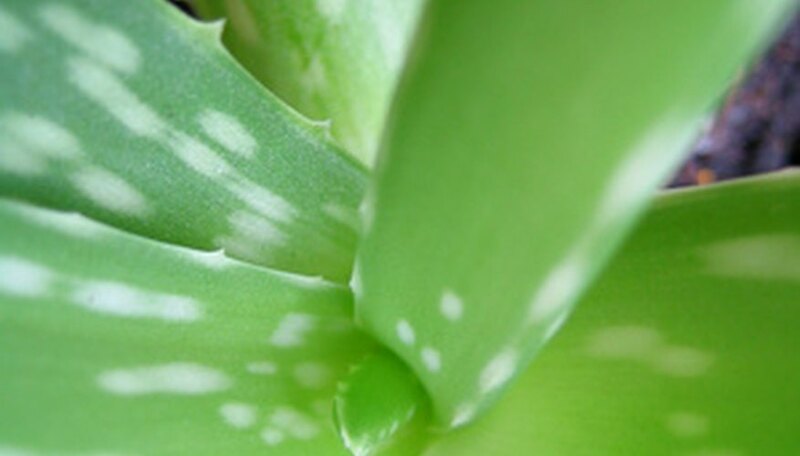 Place the aloe babies in indirect sunlight and water only when the soil is completely dry; droopiness and shriveling leaves are signs that you’ve watered too much. You’ll be able to tell when a plant is growing roots because, if you tap it with a finger, it will be noticeably more stable than when first potted up. How large a pot you place the aloe pups in depends on their size; in general, the smallest pot that's large enough to accommodate the pup's root system is acceptable. You may find separating the aloe babies from the parent plant to be easiest when the soil is dry.